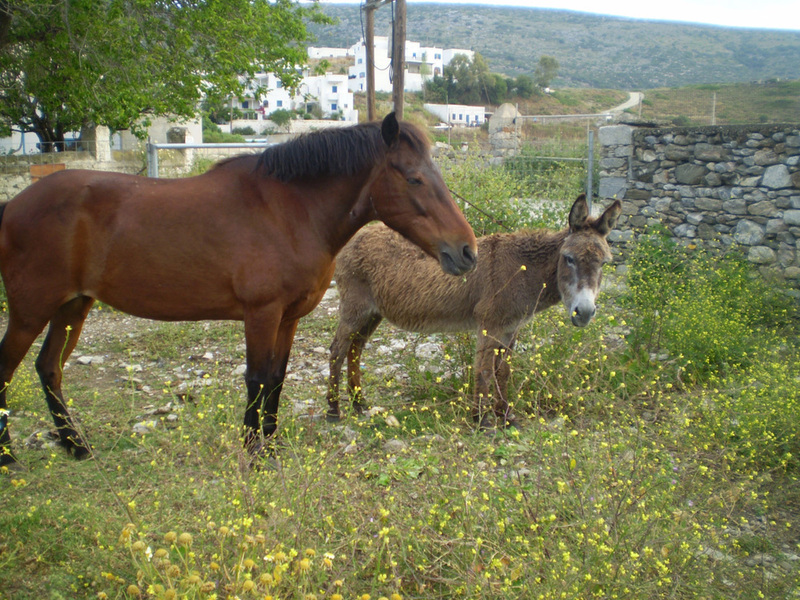 Mules and donkeys are a traditional mode of transportation on many Greek islands. However, that their numbers are dwindling quickly is a troubling fact. At the same time, they are not always treated well by their owners. In Amorgos the mules are commonly kept with no shelter and with their legs tied to impede their movement so that they do not trespass. In reality, in an effort to obtain some freedom of movement, the animal causes hideous self-inflicted wounds that often become infected and brings the animal to an untimely death. When found sick or of no use, they are frequently abandoned with no food or water. In 2010, Responding to a call for help from members of PMAA, the local animal association, AZI became aware of the tragic existence of a mare, donkey and mule, owned by a shepherd but not cared for by him. Most of these animals are abandoned, castaway as unfit for work, in the middle of nowhere, with no food, no water, and with their legs tied together to restrict their movement. It upset a tourist from Athens so much that he notified the police and pressed charges. That justice is being sought is significant; however, these animals required immediate attention, especially the mare. Unfortunately, a local shepherd bought the donkey and mule before we were able to intervene, but we were able to rescue the mare. AZI financed the construction of a stable on the land offered by the Mayor. 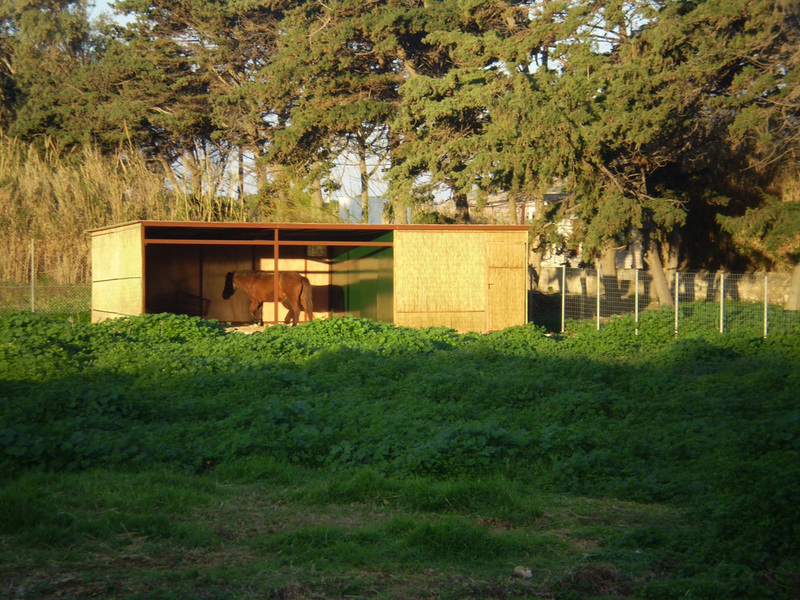 Designed and constructed by Antonio Marvos, the stable is set on the slope of a lush, green field and has the capacity to house several large animals. Paola the mare and Pepperina the donkey were its first two residents. 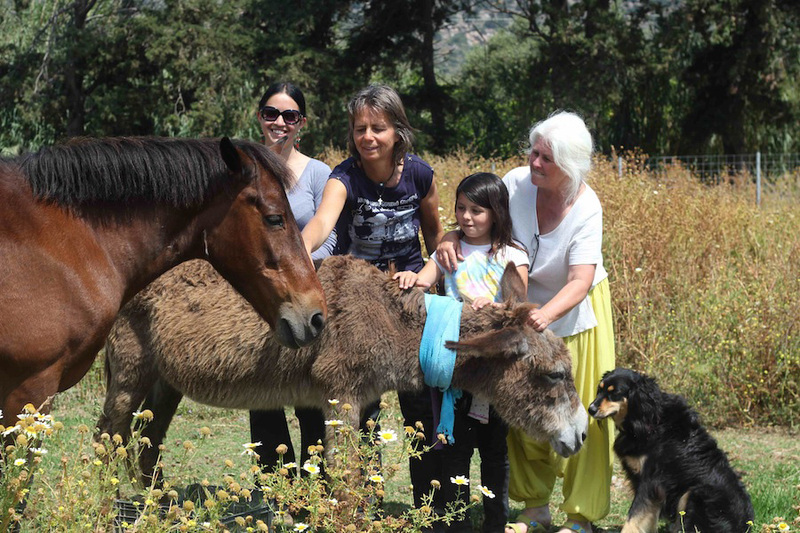 These efforts mark the beginning of the end of the cycle of neglect and abuse for the equines on the island. Everyone is welcome there to learn about caring for animals. Educational programs at the stable will teach children empathy, compassion and how to care for pets and farm animals. Tourists will find a tranquil repose promoting a more pleasant atmosphere to the island.